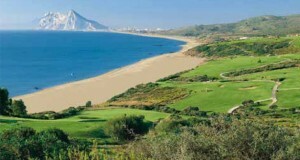 Alcaidesa Links Golf Resort has two magnificent golf courses: Alcaidesa Links andAlcaidesa Heathland, a total of 36 professional holes with spectacular views to the sea, Gibraltar and África, flanked by two natural parks that make the setting even more spectacular. The two kilometres of beach parallel to Alcaidesa Links and the extraordinary eternal blue of the sea create a visual spectacle that is incomparable on the Costa del Sol. You will find two magnificent golf courses within our complex, one of which is the only links course in southern Europe, Alcaidesa Links, in 2011 considered by the magazine Golf World to be one of the 20 best Links courses on the European continent. Many tournaments have been played at Alcaidesa Links, such as 2 PGA of Andalusia, in 1993 and 1994, 1 PGA of Spain in 1995, The Ryder Cup Junior Match U.S. against Europe in 1997. We also have a magnificent Driving Range with 72 practice bays, a spacious practice area with putting green, bunkers and a short game area. Many tournaments have been played at Alcaidesa Links, such as 2 PGA of Andalusia, in 1993 and 1994, 1 PGA of Spain in 1995, The Ryder Cup Junior Match U.S. against Europe in 1997. Alcaidesa Heathland, consists of 18 holes par 72, designed by the renowned former Ryder Cup player and author of numerous internationally renowned layouts,Dave Thomas. 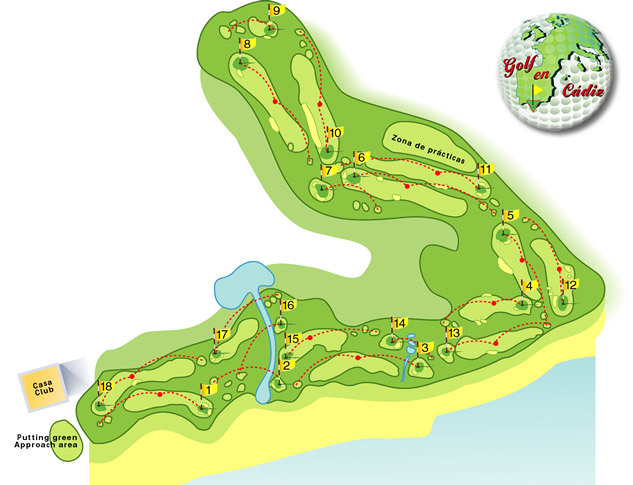 This course offers a variety of natural scenery ranging from the plateau area (holes 1 to 5, 17 and 18) where the course is similar to a heathland, with wide fairways andoutstanding views of the Mediterranean, to the valley area, where the holes meander along the valley and incorporate several water hazards. The total distance is: 6,373 m.